Over 200 midi files and over 600 WAV files are enough to make interesting hardstyle lead lines by yourself. You can use the ready WAV loops, assign your own patches to the midi files or modify these midi files for your needs...Enjoy! (NOTE: Original files are in WAV format. Here in demo, examples were saved using mp3 format). Most of Samples / Midis contain hardstyle lead lines (rhythmic and melodic) as well as some dark pads! This is the pack you have been waiting for with more than 200 hardstyle leads and midis for your total enjoyment. If you have been looking for optimum quality to make banging hardstyle melodies we bring you this samples pack with more than 600 hardstyle lead Wav loops as you have never seen before. The wav loops are all ready to use waiting for you to assign your creativity to the existing midi files or modify them as you wish. Before we discuss the awesome and unique features of this sample pack lets first take a look at the essential features of the Hardstyle Midi samples. If this is the sample pack you have been searching the net first have a look at the demo where some of the best examples are saved in mp3 format for easy downloading. Once you get a little taste of what the full midi sample pack contain look for the instant download option of original hardstyle midi and wav samples that will be sent to you through our special download link. Make a successful commercial producer out of you with the club banging tunes in this hardstyle midi pack. Ultra superior quality hooks and hooklines to meet the challenge of producing unlimited melodies and tunes especially packaged for those producers who aspire to wow the audience with quality hardstyle genre rhythms and melodies. The loops in this pack are an absolute dream come true with their ready to use quality. You only have to click on a particular folder to import tunes into your sequencer and create melodies of your choice with quality leads. The sprinkling of dark pads is for the crafty producers who like to make the club rock to the beats of darkstyle. In Hardstyle Midi, we introduces the most prolific hardstyle sample pack backed with an iron clad guarantee and royalty free offer of original collections all in Midi and high quality Wav format. 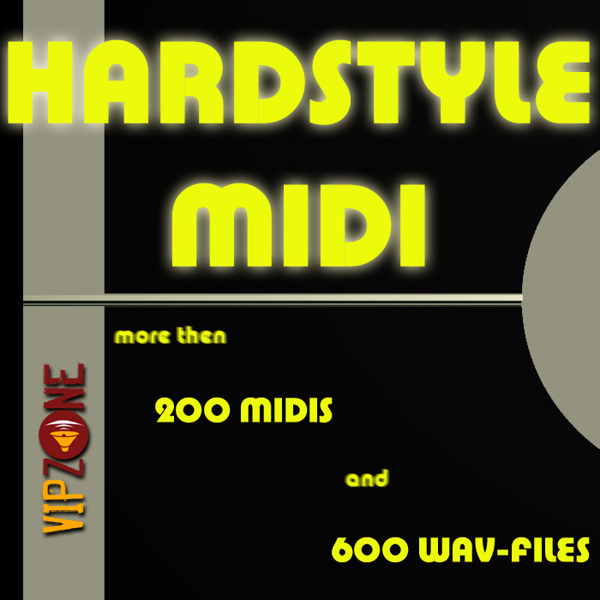 Enjoy the very best of Hardstyle Midi.